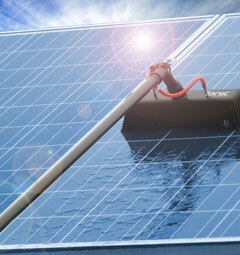 The latest addition to our cleaning range is Solar Panels. It is widely accepted that keeping your panels clean will improve their efficiency and the equipment we use is ideally suited to cleaning your panels safely with no damaging chemicals or abrasive materials. Why not build in an annual solar panel clean in to your regular window cleaning requirements.